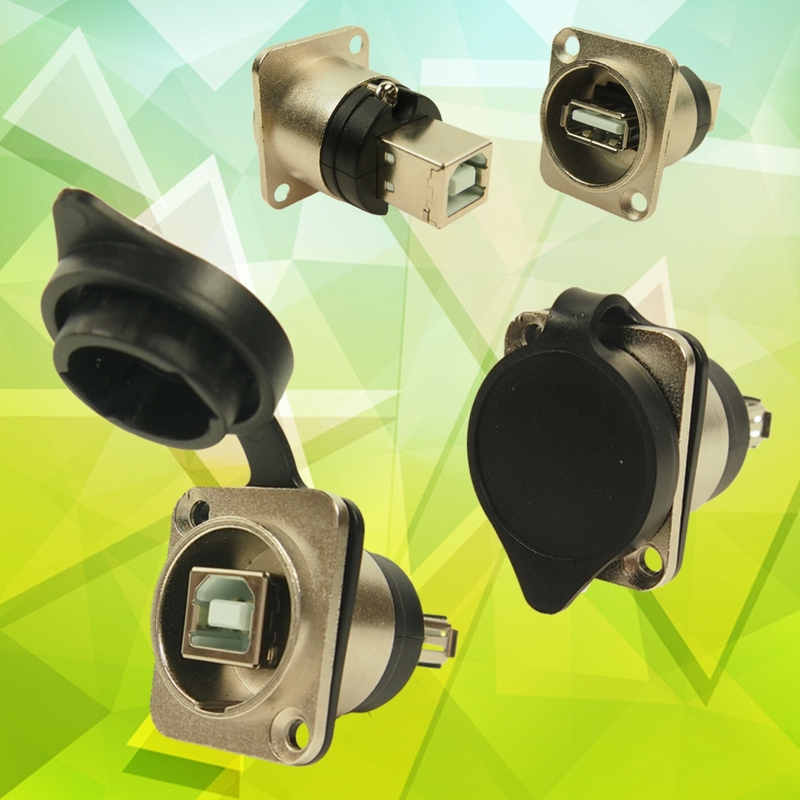 Cliff Electronics have added two new connectors to its range of XLR-Format Feedthrough Data Connectors. The new chassis mounted ‘gender change’ sockets are available in USB2 A-to-B and B-to-A versions and allow designers to integrate USB2 networking and data feeds into professional equipment for broadcast, lighting, audio and industrial applications. In line with the rest of the Cliff Feedthrough connector range these new sockets are designed to fit into the industry standard 24mm diameter XLR connector panel cutout simplifying panel design and manufacture and improving design aesthetics. Both the USB A-to-B and USB B-to-A gender feedthrough sockets are finished in nickel plate and a socket sealing cover is available to prevent the ingress of dust. All versions of Cliff’s Feedthrough connectors are in full production and available direct from Cliff and via major Distributors in the UK and Europe. Cliff’s growing range of feed-through connectors are all packaged in the widely used 24mm diameter XLR connector format and depending on model are available in black plastic or with a rugged die cast aluminium fascia finished in nickel or black to enhance the high quality, high performance and prestige image of this new product range. Other models in the range provide Digital and Optical Feed-Through connectivity in formats including high speed USB Type – C, USB3 to USB3 in all gender changing configurations - A-A, A-B and B-A. Also available are all popular data and Ethernet connectors including USB 2.0 and 3.0, LC and SC fibre (Duplex & Simplex), UTP and FTP RJ45s in both Cat6 and Cat5e (shielded and unshielded), Toslink, RCA Phono and HDMI and blanking plates. Further options will continue to be introduced throughout 2016 and custom design enquiries are welcomed. Cliff’s FT series has already found use in a multitude of system integration applications for custom I/O solutions. Typical applications include broadcast, AV installations, systems integration, home theatre, automation, solar power and a growing range of industrial applications including instrumentation, industrial control and data acquisition.